Making gold in Diablo 3 is the desire of every player. Buying new equipment from the Auction House with the gold you earn is the easiest and most effective way to improve the strength of your character. A billion gold can turn a character that struggles in Inferno mode into a superstar capable of clearing Inferno mode on MP10. Farming is by far the easiest way to make gold in Diablo 3, but it is also the least effective. 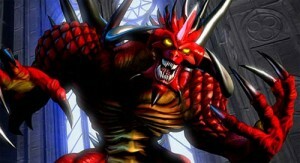 The reason is that it is so easy to do that this is the way most players make money in Diablo 3. If you are doing the same thing as everyone else, how can you ever hope to accumulate more wealth than the average player? The answer of course is that unless you are farming enemies much faster than the average player, you are never going to get rich by farming. The only way to farm much faster than average is to have better gear than average. You need good gear to farm effectively, but if you do not have enough gold to begin with, you will be unable to afford good farming equipment. The end result is that it is very hard for brand new players to get rich through farming. I recommend other approaches for making gold covered later in this guide. If you are going to farm, you should farm for something that most players are ignoring. One good option is Leoric’s Signet. The video below demonstrates exactly how to farm for this unique ring:Leoric’s Signet is a low level item that high level players want to help boost the rate at which they earn Paragon experience. Since it only drops at early levels of play, it is worth millions. Since the monsters it drops off are very weak, you do not need very good gear in order to farm it. Given that there are so many ways to make gold in Diablo 3, it is a mystery to the wealthy why most players seem to struggle to accumulate gold. If you feel like you are on the outside looking in, sit back, as in this quick D3 gold making guide you are going to discover the 2 best ways of making gold in Diablo 3. A much easier and faster way to make gold in Diablo 3 is by crafting gems. When deciding on what gem type to use, you can use the gem calculator mentioned in the video guide. This will tell you if a certain craft is profitable enough before you spend the money on the gems and tomes. The best part about crafting gems is that it not only provides gold at a faster rate than the average person can farm, but it also can be done while away from the keyboard. You can set up an hour or so worth of crafting and go do something else, returning to the computer to several million gold in profit! The first thing about our Crafting Diablo 3 strategy guide is the tome of training. In the game world, these drop as Pages of Training. Once you get 5 pages of training in your inventory, right click on them to turn them into 1 tome of training. Once you get your Tome of Training, head back to the blacksmith in town. He can break down your blue items into subtle essences and common scraps. Once you get all that done, you can use these materials with the Tome of Training to train your Blacksmith. Training the blacksmith not only increases his experience, but also gives him new recipes. These recipes are very useful when leveling up, especially if it is your first character, as these items tend to have better stats than anything you will actually find in the game world. That is how Diablo always worked anyway – the items you find when leveling up are just good enough to get by, and as you got to be a higher level you would eventually find gear that was good for low level players which you could trade a bunch of away for high-level very rare gear. Crafting helps make the items you make to “get by” easier. Additionally, if you get good crafts, you will find that certain items like gloves and boots actually can have the best rolls from crafting. This means that good crafted gloves and boots can yield an untold amount of money or gold on the auction house. It is the recommendation of this crafting Diablo 3 strategy guide to craft often and train your Blacksmith regularly so you can access these top recipes. To celebrate the upcoming launch of Reaper of Souls, Blizzard Entertainment and deviantART have joined forces to bring you a truly Legendary fan art contest. With over $11,000 worth of prizes and a two-night trip to Blizzard HQ in Irvine, CA up for grabs, we’re calling all talented artisans from Caldeum to Kehjistan to take up their styluses in defense of the realm. Your challenge, brave heroes, is to channel your arcane power and create an illustration depicting one or more central figures of the expansion getting ready for the coming conflict against the Angel of Death. These figures may include the six heroes of Sanctuary or even Malthael himself. Your entries will have a chance to be seen not only by the millions of passionate Diablo players from around the globe, but also by the teams at both Blizzard and deviantART. In addition to scoring some truly epic prize packages that even the pickiest treasure goblin would be jealous of, the top 25 winners will also have their art displayed at Blizzard’s headquarters in Irvine, California, with the top three winners hand-selected by Christian Lichtner— art director of Diablo III. Goblins – Getting these fellas down can be extremely quick if you know their mechanics. Obviously they are programmed to run away. They can get interrupted in this state and will drop some loot, invariably gold. They also have hit point ‘tiers’. Once a hit point tier is reached, they go into a short animation, and are temporarily scrubbed of all debuffs. If you have tried rend on one of these guys you will see this in action. The best tip is to try to whirlwind round them a couple of times, and pop rend. Once you see Rend disappear, then hit them with it immediately again. Ideally you can keep them rooted to the spot and bleeding quick enough that they hit each hit point tier quickly in succession, stopping them from moving too much. Another worthwhile thing to know about goblins is that they will open two portals, the first one if they are left to run off as soon as they are activated. If they get hit whilst opening the first portal, or waiting to jump through, they will run off and then open another portal. The second portal they open, they cannot be distracted from running through unless you kill them. Know your route. If, like me, you do the Alkaizer route, make sure to optimize it as much as possible. There are a few things that can help out here. Running the Tower anti-clockwise on the inside. This will let you see any elite packs on the stairs down before you get there. The shrines on this map are mainly on the outside though, so keep an eye out for them (there are 3 places shrines can spawn, opposite the TP, at around 10 o’clock on the outside, and around 6 o’clock). When you get to the Fields of slaughter, remember to check the minimap around the TP. There can be a shrine right next to it that is not easily visible from the TP. Figure out the way the Keep Depths lvl 2 is laid out. It always has a squared ‘circle’ you can run around, getting maximum XP from this level. Know your enemy. I, whenever I see them, always kill those fat goatmen sorcerers first, as they will invariably cast shield on someone. That makes them priority number one for me whenever I see them. I even go out of my way after a ctivating goblins to kill them first. Why? They can shield the goblins, making them much more difficult to kill. The same goes for champ/elite packs. Everything from the level of a monster of the scored item destroyed type can affect this type of drop that you receive. For example, an enemy the more likely low is will not produce a top level element. Kill a more formidable enemy, and produced booty is much more useful. 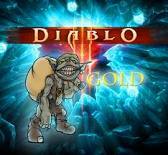 Sometimes, special properties are attached to an element, which can be discerned by ffixes, you can buy diablo 3 gold in low price or added descriptors either before or after the name of the regular element. You can be seen these before names in your output previous with Diablo, or if you’re new to the series, in other similar games in the genre. For example, if a monster an element known as the sword of heaven, the core element would a normal sword without additional specific elements. 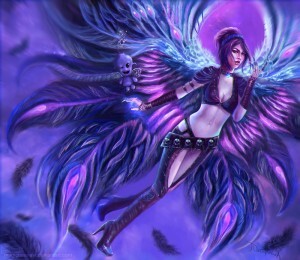 In this case, the game gave the plain-Jane sword another name, in the form of the suffix of heaven. 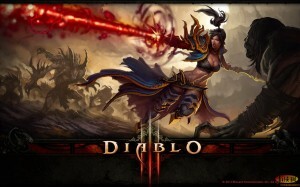 Diablo 3 Demon Hunter Guide: Double crossbows, Double The Fun what types of loot are there and how is it generated? You can find the attribute of improvement of equipment such as a sword brand-new to raise your damage or armor that raises defense stats. But unlike most other Dungeon-robots, there is no real gamethe index of this type of articles are available to discover. 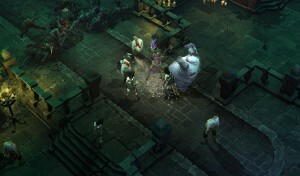 Diablo III creates a loss of point after you kill a monster, but starts with a Vanilla fade piece of equipment. After the equipment is good, the quality and rarity are weighted as a reflection afterthought. In simple terms, the quality and rarity of the enemy killed are key factors in this point, you will receive, we have d3 gold for sale in relation to the level of the defeated Monster. That would be a Dungeon crawler-being without a sprawling menagerie of loot? Our guide to Diablo III loot system help you quickly become an expert in which yields position what, how your new shinies can be identified, and how each is generated. Thou shalt be an epic thesauriseur in no time, and we say that in the nicest way possible. That is what a loot drop As you sacked through sanctuary of slaughter enemy or denigrate any breakable object type you are often rewarded by booty Tomb, otherwise known as a pile of loot. As gather you at E3 or another Convention, but in the game. These objects of collection generated randomly will fall on the ground for you to put aside. For some, this is why they are fighting. For others, cis a steady stream of generators of income of the valuables that aid in the c’ future epic quest. Dropped items can range from potions, weapons, armour, gold, and other types of equipment. Diablo 3 Guide: Welcome to the course, Sanctuary beginner’s Guide.There is a system in place to determine how often specific features are available, and what they are. It ya several variables which loot is distributed: if it falls to all, to what extent, and what are the properties of each element is in reality. Thus, the weapon was actually two different elements: the normal damage inflicted by the base element and the powers conferred by skies, which in our example could cure the hero. The more difficult the monster, the rarest of the fall, and the. More powerful weapons or an element some affixes as razors Castle, or malice require a minimum level for certain weapons. This is not the case for all affixes as the Gladiator torso armor does not require a certain level for the player to achieve. If you are looking for this beyond dagger or if you want to wear a ring death, it is a bit of grinding between you and the level you need to meet to find this particular point.